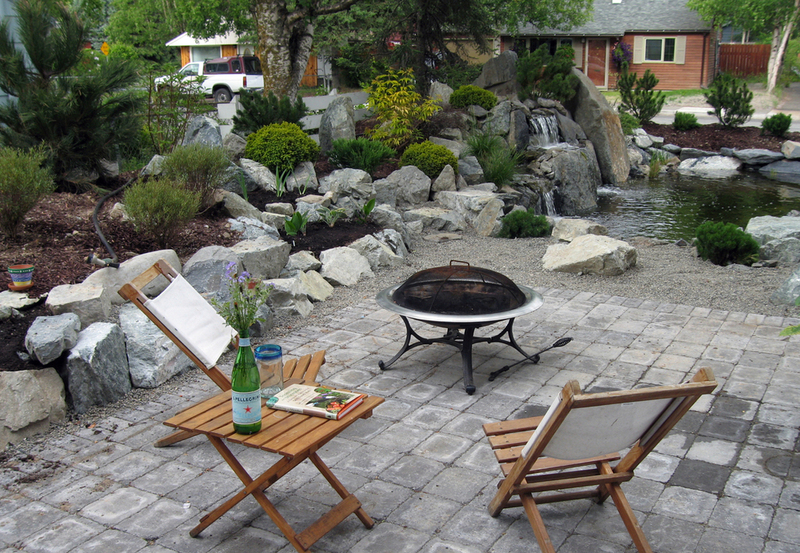 Your own backyard can become a haven for you to relax and enjoy those long Alaska summer days and evenings. The goal of outdoor living at home is to create a seamless transition from your house to the outside, almost as if you were walking into another room. 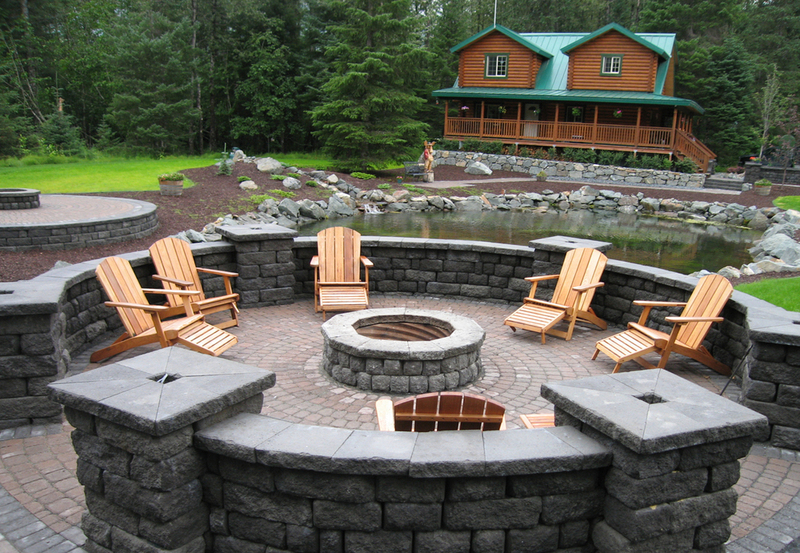 This is often achieved with a deck or patio for outdoor grilling and dining, or an outdoor fireplace to gather around. But outdoor living is really anything that brings the family out of the house to enjoy and spend time outside. This can be garden beds for flowers and vegetables or a pond complete with a stream and waterfall. It might be a home putting green for the adults or a playground for the kids. Or maybe a horseshoe court, greenhouse or even a chicken coop? 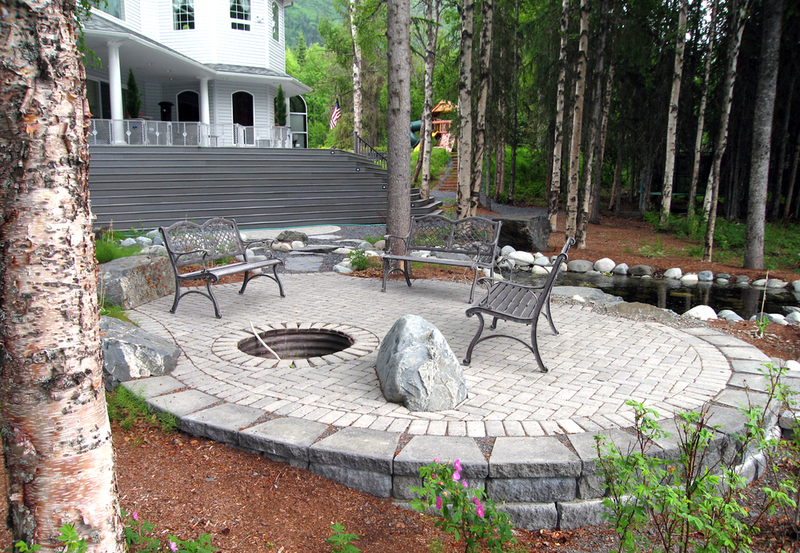 Outdoor living is limited only by your imagination. So how do you want to enjoy your space? Let the landscape/aquascape professionals at Green Acres help you make that a reality. For more inspiration view our inspiration gallery.